OnePlus' teaser campaign for its next smartphone is already in full swing. 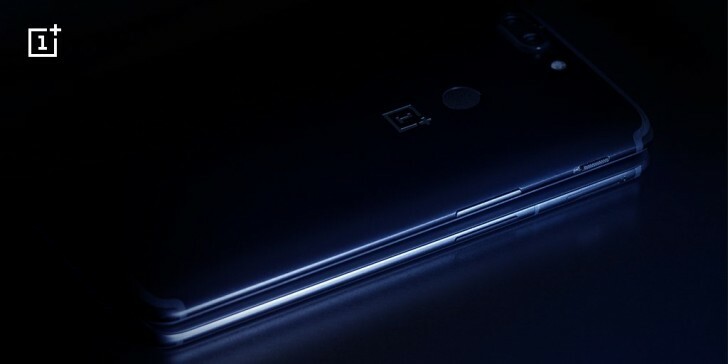 Today we get a glimpse at the OnePlus 6's left side, courtesy of what has now become traditional for the company - namely, a shot of its current flagship sitting atop the yet to be released model. That's the OnePlus 5T's back you can see in the image, but underneath it is the upcoming OnePlus 6. And we can glance at its left side. There's only so much info we can gather from such a teaser, but if you look closely it does seem like the antenna bands are confined to the metal frame and don't slip over onto the phone's rear. That would sort of confirm the fact that the OnePlus 6 will have a glass back, adhering to one of the latest trends in the flagship realm. We already know it will come with a notched screen, a shot of which leaked just a couple of days ago. Oddly enough, the alert slider, long a staple of OnePlus designs, seems to be missing, or at least relocated compared to where it's at in the 5T, with the SIM card slot now taking that place. From this photo, the OnePlus 6 appears wider than its predecessor, but that's assuming they were placed exactly on top of each other. We wouldn't be so sure about that, since there's also the possibility that the company wanted to show off its side and couldn't do it this well if the phone was properly placed in such a way that the 5T would cover it completely. Given its past antics, we expect OnePlus to keep teasing its next device for a few more weeks, building up to the big announcement. That's exactly what I was thinking when I first saw the photo. This is definately the right side of the phone.